In order to prevent condensation one has to know how it occurs. 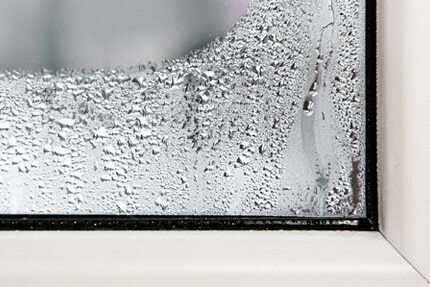 Condensation water always occurs wherever humidity in the air surpasses a certain limit while the temperature is too low. The higher the relative humidity in the air and the lower the temperature, the faster condensation occurs and accumulates. Relative humidity can also be influenced by the number of people in the room, since breathing air also contains vapours as well. In the outdoors humidity is usually lower than in a room. If you air a room too rarely or if the room is only insufficiently heated, then the chance of condensation appearing on windows is very high. The reason it appears on the window panes is that the glass is usually the coldest surface in the room. 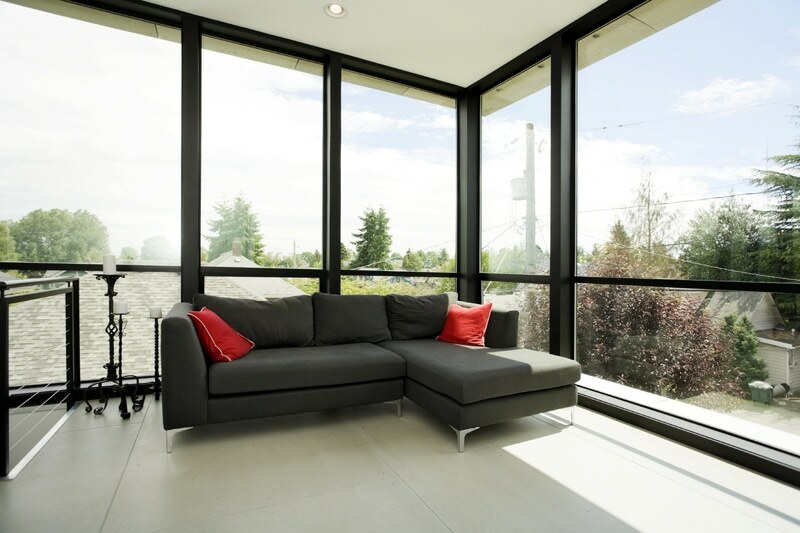 Obstacles like window sills, curtains and even parts of the furniture in a room can constrict airflow and make the window pane cool down faster even more. In extreme cases condensation can also appear on cold outer walls and entrance doors. In past years a certain degree of circulation also occured through walls and not properly sealed buildings shells. As a result people used to heat their rooms quite a bit and needed to use humidifiers to maintain a somewhat comoftable room climate. Nowadays building shells and window and door constructions are better insulated. The more insulation was used during the erection of a building, the more important regular airing of rooms and proper circulation become. This is the main reason people always hear the same advice, to turn on their radiators and to air their rooms more often. It is however very important to air and heat your rooms responsibly and economically. During colder seasons keeping windows open constantly would be a huge mistake, since the constant influx of cold air causes the temperature in the room to drop too drastically. Reheating the room results in huge heating expenses. Instead, you should try to open up all the windows in a roomcompletely for up to 10 minutes, several times a day if needed, to facilitate a complete as possible exchange of air masses. This way it will also be easier to reheat a room. This method is also very beneficial when it comes to airing the bathroom or kitchen. During summer constantly airing rooms is of course always a possibility. When it comes to the temperature in a room, preferences vary. Generally speaking it should never be necessary to heat a room beyond 23°C just to avoid condensation. If condensation occurs despite all these aforementioned precautions, then the problem has to be tackled from a different perspective. The first step should be to check the windows in question and see whether they are still properly functional. If after an expert’s inspection brings no result, then the probable cause of condensation are either bad building shells or bad airflow. Even with newer buildings condensation is oftentimes a problem, since modern architecture usually includes large windowfronts but insufficient heating sources. In such cases T-STRIPE is the best choice! 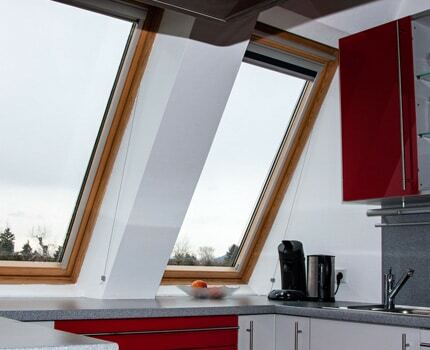 It heats up the glass panes along the window frame and effectively prevents any condensation water from occuring. Especially in modern buildings, with glass fronts reaching from the floor to the ceiling, condensation water is a problem. With the T-STRIPE heating system condensation can be prevented completely!